Looking for alternatives to SocialPort™? Tons of people want Sales Enablement software to help with alerts, screenshare, and live presentation. What's difficult is finding out whether or not the software you choose is right for you. We have compiled a list of Sales Enablement software that reviewers voted best overall compared to SocialPort™. Based on reviewer data you can see how SocialPort™ stacks up to the competition, check reviews from current & previous users, and find the best fit for your business. "Great tool: CloudApp makes it easy to record screen gifs, and drag and drop them to places I want to post them on websites etc. The process is seamless, and it seems like the software is a lot more powerful than just what I am using it for. My coworkers recommended it highly when they found out I did not have it." "Average product, terrible billing practices: That is allowed our sales reps & customers to share a screen"
"Highspot puts your Sales Enablement efforts on steroids! : Incredibly easy to use, solves a massive challenge of right content, available to the right people at the right time AND enables sales people to actually use the content and "pitch" more effectively with analytics on how prospects are engaging with the content. It's hard to get a Salespersons attention - give them Highspot and they will LOVE you for saving them time and making them more effective!" "Set of tools to manage marketing tasks. : Showpad allows us through its platform to manage the different marketing campaigns we are doing, it also helps us find a better way to carry out all the sales processes we are doing, with this tool we can share all kinds of information with our clients, about the products we want have a greater scope, something I like is that I can launch a simple campaign of a product, and share it on all social networks with a single click, which helps to perform this type of tasks in less time, content positioning tools of this system, help to have a better idea, which makes us have much more successful campaigns. " "The Sales Enablement Tool I dreamed about 10 years ago: I like being able to easily filter and search for specific content based on on multiple variables, so that I can provide the best information to my prospects. Before Seismic, it was difficult to locate specific information, so I'd save it on my desktop, only to find I was sending outdated information. Seismic is smart and helps me be efficient while allowing me to access all of the great content our marketing department produces. Also, it's great to be able to see when my prospects access the content, because it allows me to give them priority." "Effective For Contract Management: It is very easy to send and store contract documents. I like that I know when a client has viewed an agreement. I also like that you can add a video. It has helped me communicate with my clients in a more personal way. Templatizing documents is easy as well, which speeds up our process and saves us time. Though most of my clients don't use the comment feature, I have had some that have kept all their contract communication within the comment section which makes it easier to stay focused on that one topic and one set of questions. " "Control and administration of your documents in the cloud: Document tracking is fairly well designed and implemented within DocSend. You can check when your document is opened, from where it is opened and you can also see which person has opened it at any time, this can serve to have a control of which people are reviewing a specific document, it is especially useful within work teams . Users can also download and save the content, which also gives them the possibility of saving information. It has a very broad support for many types of documents, which allows you to upload and modify files of different extensions." "User centric, smart and versatile CRM. : Altough being quite advanced, the system is very intuitive and easy to get started with. Lots of smart features that really helps organize, systemize and overlook processes on both an individual and organisational level. Easy to customize in a very versatile way, which can make it useful also for customer process other that sales that have a beginning and an end. Continously adding new smart features. Attentive and helpful support. And not the least, a user friendly GUI." "I have no idea what I ever did before Dooly! 😮: The time Dooly saves me on a daily basis! I used to put off admin tasks until I had a large block of time to do everything at once and was actually in the mood to click in and out of contacts, tasks, opportunities etc on Salesforce. Now I can update my records in one go from an interactive dashboard. " ""Strong item that continues improving": There are a few highlights of the App Data Room arrangement that are incredible, however the highlights I as are ideal: 1) Our business group can show quality video and static substance to potential and existing clients in any scene 2) We can without much of a stretch make changes to content when fundamental 3) We can follow action on substance that is sent through the subsequent element"
"Great team + product: I have used PFL at a couple of my past companies and overall had a good experience. I have used both the marketo automated print product as well as SwagIQ. I really like the customer success team - they have spent many many hours working through our first implementation and helping us get through some of the internal hurdles (like cleaning up addresses!) to make it all work. " The ROI Shop develops interactive ROI calculators that enable sales people to collaborate and build the financial justification with their prospect like never before. 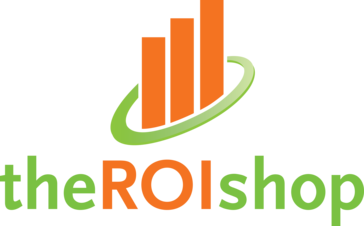 "The ROI Shop helps me win deals: The tool is highly configurable and their support to get it fine-tuned is great. From a user perspective it couldn't be more simple to learn and execute. From a client perspective the tool is attractive, easy to understand and share, and communicates the value quickly and efficiently. " Costello is a real-time sales playbook platform that helps sales professionals consistently have great conversations with buyers. "Make Sales Processes Repeatable and Easy to Manage: The best part has been discovering just how much Costello has thought through all aspects of Sales and provided ways to simplify as much as possible. I've been on a journey of discovery with Costello and I'm still on it! I started out loving the Deal View (which that alone is worth getting Costello for), then later I was ready to learn Playbooks. Just recently I started using the Resource Library (Objections, Competitors, etc.) and there's still more that I haven't begun to utilize that'll make our team even better. First impression I got of Costello was the Deal View, which is awesome! Update Opportunities with 1 or 2 clicks vs 4 or 5. It's a huge time saver and it gets even better once you get used to how quickly you can update the Deals view. You'll never want to go in to an Opportunity or Opportunity report again! The more I've used Costello the more I've fallen in love with the Playbooks. Stop needing to think about your process, what questions to ask, what information to capture and just put it in a Costello Playbook. After I used Playbooks for a while, I was ready to incorporate the Resource Library (Objections, Competitors, Customer Stories, etc.). Have you ever been on a Sales call where an objection was raised and you suddenly either hear or come up with a response where you're like "man I need to remember that!"? Just add the response as an Objection in Costello and stop worrying about remembering! Costello is the comprehensive tool/platform you need to make your Sales process repeatable and gain insights!" "It's not about selling, it's about being relevant. : Mediafly is easy-to-use and allows us to be relevant in prospect and customer meetings. By having a range of accessible content at our fingertips (including offline) we let buyers and customers tell us what is most important and then we drill into their pain points versus trying to sell them what we think they want. It has been incredibly empowering to the team. The interface (see screenshot) is simple, yet elegant. However, beyond design, this allows us to showcase areas our point-of-difference, expertise, or culture we couldn't ever neatly package in a pitch deck. However, what we like most isn't the feature/function technology, but people. In two ways - First and foremost, the customer success team at Mediafly really wants us to be successful. This was evident from our onboarding sessions with Luke and the team. We were in-market fast! Second, we, in turn, are able to improve our own relationships with the people we meet with when using Mediafly because it is about them, not us." A portal that allows B2B sales Reps to deliver a remarkable buying experience to their buyers from qualification to closing the deal. "Impress prospects with your deliberate organization: Personalize the experience for your prospect without spending too much time customizing each interaction"
Showcase turns your iOS, Android or Windows 8 device into a powerful sales, presentation and training toolkit. "A great way of delivering engaging content on the fly: Showcase Workshop enabled our company to really up our game with regards to sales presentations. Our sales force were given the freedom of mobility with use of tablets instead of having to do everything on their laptops. However, we were faced with the challenge of then making all the sales content engaging and with the ability to be delivered via the tablets. Showcase Workshop completely changed the game for our sales teams and allowed them to present they way they wanted to, while also giving the head office marketing staff insights in to how and when the presentations were being delivered." Empower revenue teams with trusted content, when they need it. "Outstanding sales and marketing support application: Enablix has been an excellent tool for our company in terms of how we organize and access sales and marketing information. I find it's very easy to search and navigate through content and easy to share with my colleagues. A feature I really like is the ability to create a link to content that I can share with customers and prospects, and their tools even provide a daily report on activity for tracking content views." 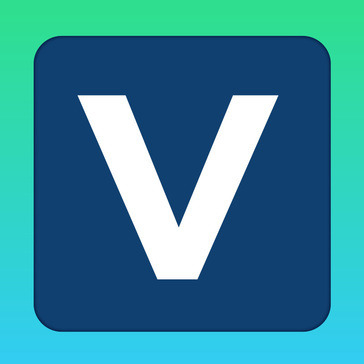 vPlaybook is a sales playbook for the virtual world where your strategy is packaged in an interactive, digital guide, focused exclusively on the customer conversation. "Highly valuable to sales teams: The ability to edit on the fly is great, the ability to report on activity from the playbook is very useful, but the consulting that came with the implementation was by far the most valuable. Let DSG help you align your key stakeholders and build a compelling whiteboard story." "Recapped.io is a tool you'll instantly love: Recapped.io is so quick and easy to get started with. I loved the sample templates that allow you to quickly get to the core of your proposal. The interface is intuitive, easy to navigate, and you are never left scratching your head wondering what to do next. With a click of a button you can add new tasks, share with your team and customers quick and easily... it really does it all. The service has completely changed how we send proposals in our company. " Pitcher redefines the way sales managers, marketing professionals and field reps engage and interact with their customers. "A very efficient application for our sales process: Pitcher offered us a great quality of service. We have been impressed by the reactivity of their teams and we appreciate how flexible their platform is to adapt to the specificities of our sales process. Integration with our Salesforce CRM was easy. We got great feedbacks on the user experience from our sales team. Our team can work with a lean interface to manage their activities: Pitcher offers us the ability to be compliant with our global processes but also to add some specific features to suits the specific needs per Business units or Countries. We highly recommend!" Hi there! Would you like help finding solutions similar to SocialPort™?